THERE WAS A TIME WHEN A DOGS ONLY HOME WAS A KENNEL OUTSIDE. THANKFULLY THINGS HAVE CHANGED AND OUR PETS ARE NOT JUST WELCOME INSIDE, THEY ARE THE KING OF THE APARTMENT! IN THE CITY, SPACE IS A PREMIUM BUT THIS LITTLE LONDONER HAS MORE SQUARE FOOTAGE THAN MOST PEOPLE. 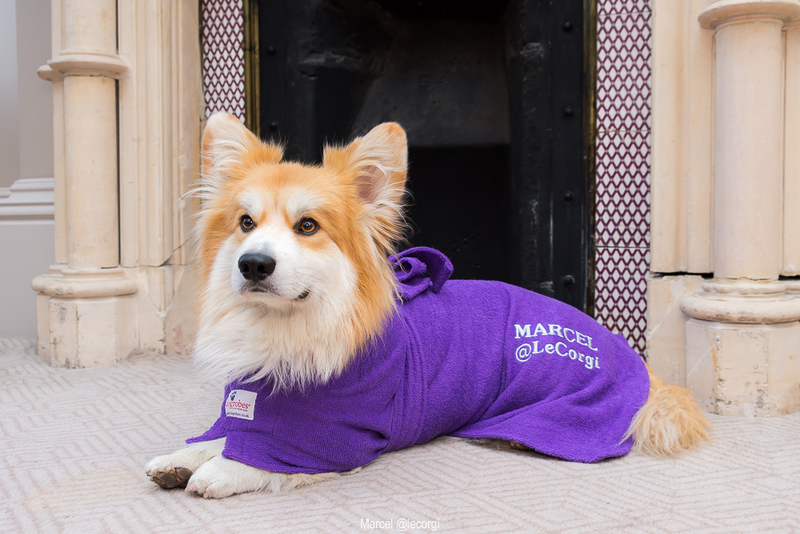 Marcel Le Corgi is arguably the most famous Corgi in the UK boasting 60,000 followers on Instagram. 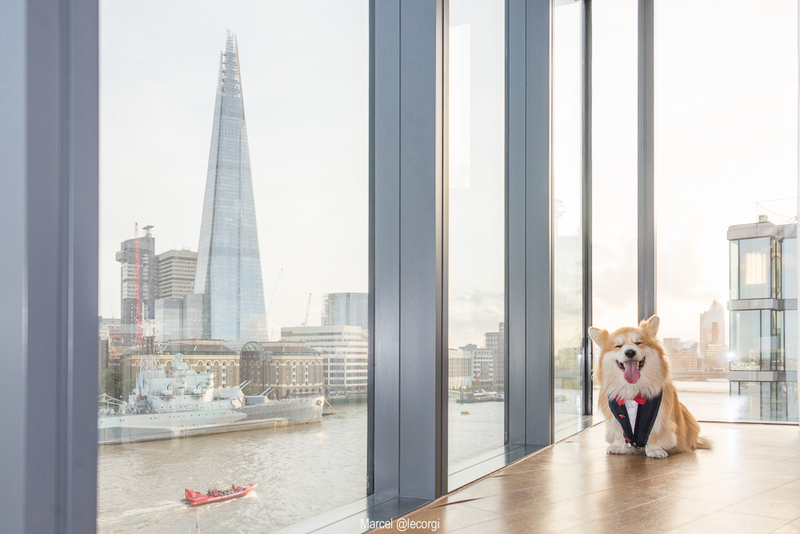 While Marcel isn’t actually French (Corgi’s originate from Wales, and Marcel was born in the UK), his owners are both from France, making sure a little European flare is added to all his posts. We are so lucky that Marcel and his Mama took time out of their day to answer our questions so we could get a little behind the scenes look at what Marcel’s life is like. Viva Le Corgi. Marcel, his Papa and I live in South London, our area is urban but we are lucky to have some big parks nearby. 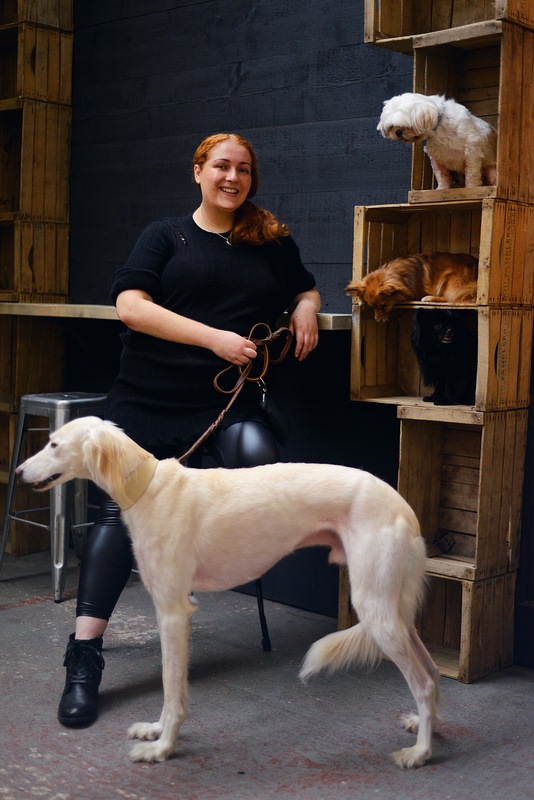 What makes Marcel different to most dogs in the city? 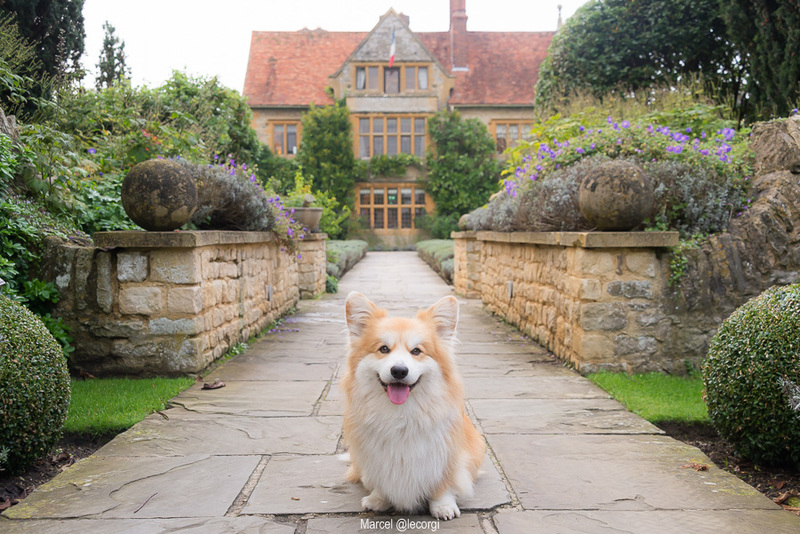 He is a Pembroke Welsh Corgi, the same breed as the Queen has, only with longer hair (which is a fault to traditional dog show standards). 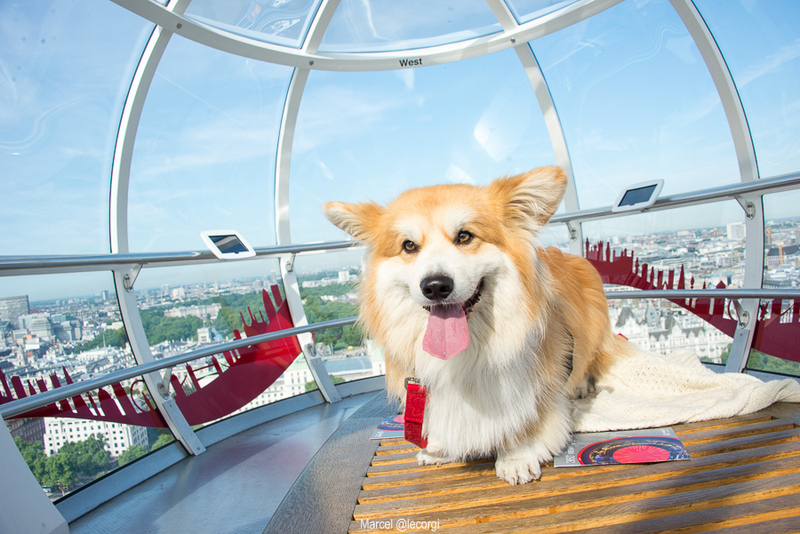 Corgis are originally working dogs and therefore need a lot of mental stimulation and exercise. 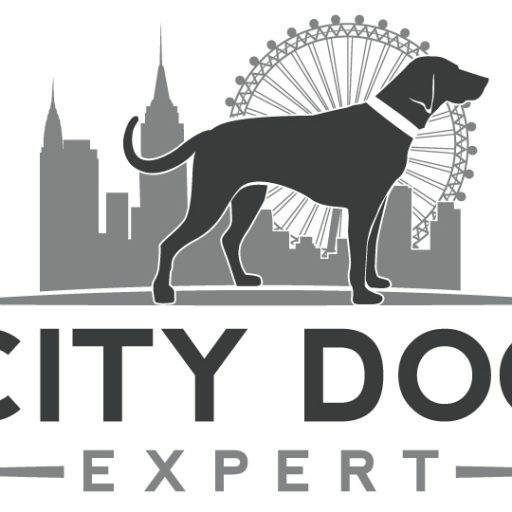 Due to their cattle dog background are probably not your typical city dog though people seem to expect to see corgis at every corner of London. According to most people we meet “you don’t see many corgis around these days” so he stands out in the streets with his big body, short legs and bold yet extremely friendly temperament. Finding places that are safe enough for him to be off lead and get enough exercise, and coping with the number of people who are scared of dogs. Sometimes getting too much attention (because of corgis being associated with The Queen) and going anywhere can be a problem too. What is Marcel’s fav things to do in the City? 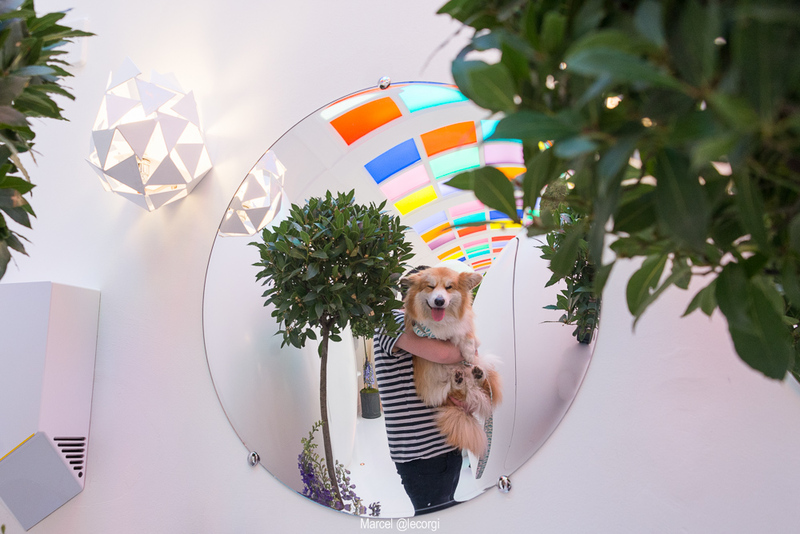 Marcel loves to go to places with us – the pub, a café, an art exhibition, public transports… He also loves to meet with his furry friends and play at the park. And getting a lot of attention from tourists. Would you sacrifice Marcel’s city life for a country estate? We hope to move to the country at some point yes, in a few years, it wouldn’t be a sacrifice as we know, having travelling so much, that he really enjoys the countryside (or seaside)! But for now we still have so much to see in London and the more we discover the more we get to see how dog friendly it can be so we’ll stay for a while longer… we get a fair bit of travel to the countryside to get a relief from busy city life quite often. How do you keep the balance of having a small space but allowing the dog to be dogs? We picked a place that has no carpet so do not have to worry about him going back from the park muddy, and definitely quit being obsessed by a perfectly clean home. Marcel has a number of treat dispensing toys to keep him busy inside, and we made sure to pick a place with a small garden. We try to go to the park as often as possible too. How has Marcel changed your life? What is a typical day for Marcel? Just like me he is not an early riser. Usually waking up is a struggle so he gets some snuggles, I pick him up to go down the stairs (we were very careful with him not going down the stairs when he was young so as to not hurt his back so now he refuses to go down on his own) after getting ready, we go for a walk at the park, come back, play indoors, have breakfast. Until recently I would then give him a frozen Kong filled with fish mousse (to signal I was leaving for work) and he’d get a dog walker at lunch time… but now he does to most places with me and/or helps me in my home office. A quick walk for lunch, followed by a chew toy, naps throughout morning and afternoon, then when his Papa comes home he gets another walk, some play time (and trick training), dinner, and we all usually chill in the lounge if not going out. He’s also lucky enough to be invited to many dog friendly events so gets a lot of occasions to socialise there too. Is Marcel pampered, spoiled or perfect? Where can people find Marcel online? He also has his own blog (www.lecorgi.com) where we talk about travelling with a dog and the products and events we get to test, and a YouTube channel. Thank you so much Marcel for the interview.